Hollywood hasn’t come calling (yet! 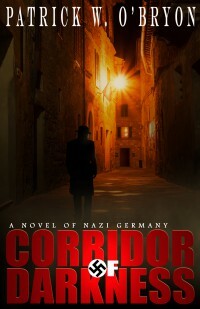 ), but many of you readers have suggested the Corridor of Darkness trilogy would make a thrilling motion picture. Time for that casting call! Everyone pictures the characters somewhat differently, so why not ask you enthusiastic readers of the novels to cast this film or exciting television series? You could win a Corridor of Darkness or Beacon of Vengeance audiobook! In a week or so I’ll post the top two suggestions for each character, along with those photos. Then we’ll have a call-back audition at this site for your majority vote to determine the winning candidates. THE PRIZES: For each of the five characters, the first three to have initially proposed the ultimate winning candidate will receive a download code for a free audiobook of either Corridor of Darkness or Beacon of Vengeance. So hurry up, start casting, and let’s get this show underway! Who knows when Hollywood might come calling? 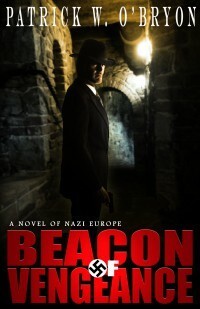 This entry was posted in Corridor of Darkness, Novels of Nazi Germany, Historical Thriller, Uncategorized and tagged 1930's Germany, Beacon of Vengeance, Berlin, Casting call, Corridor of Darkness, Espionage, Fulcrum of Malice, Gestapo, Historical Novel, Movie casting, Movie thriller, Nazi Germany, Nazi Thriller. Bookmark the permalink. 2 Responses to CASTING CALL FOR CORRIDOR OF DARKNESS! Looking forward to what you might come up with! Personally, I like to see new faces on the theater screen rather than the big stars in movies, but this contest is all just for fun, anyway. The idea was spawned by the reaction of a reader to whom I showed an advertising image I thought suggested Marita. He didn’t see her that way at all.